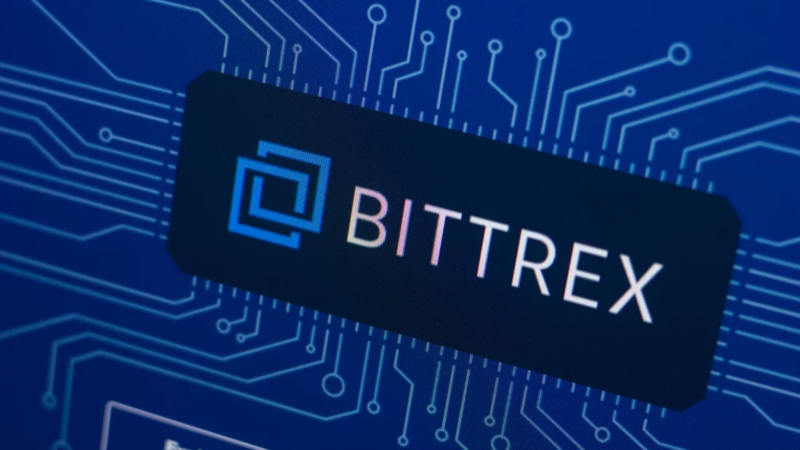 Cryptocurrency trading is nothing if not risky, and one exchange in the spine-tingling volatile digital asset market is looking to support a trading feature that’ll make it riskier. Binance, one of the largest exchanges in the market, facilitates the trading of over 100 coins and tokens for a client base largely composed of retail investors. Now, the firm is preparing to offer margin to those traders, according to sources close to the situation. That is to say, the firm will allow users to borrow money to trade, a bold move as some regulators around the world are looking to ban or implement stricter rules around the practice. A spokeswoman for Binance did not respond to messages seeking comment. To be clear, the firm is in the early stages of supporting margin and it might not fully roll out for months. Internally, there have been talks about requiring BNB, Binance’s native token, to stake in order to unlock margin. Margin trading, essentially, is trading with borrowed money. In U.S. equities, a broker offers a client the ability to trade on margin in order to increase their buying power. Still, it comes with risk. “The downside to using margin is that if the stock price decreases, substantial losses can mount quickly,” as the Securities and Exchange Commission notes in a nifty explainer on the subject. The losses can be more than what you originally invested due to the leverage applied. In U.S. equities, rules around margin trading are well established to protect consumers from the risks associated with it. Furthermore, brokers have their own rules and standards on top of those set forth by agencies such as FINRA, which requires a trader to deposit a minimum margin amount, for instance. In crypto markets, which aren’t for the faint of heart, the risk of trading on margin is amplified, experts tell The Block. “There’s higher risk in these unregulated markets because of the lack of regulation,” one source said. “And then layer in the fact that the assets themselves are functionally unregulated in that marketplace, price manipulation continues.” That could allow exchanges to trade against their leveraged clients, the source added. And some times they’re not very transparent either, he added. “There’s a reason for [regulators] to be concerned about leverage. If you invest $1,000 the most you can lose is $1,000, but once you add leverage to that, you can lose more. And the risk is greater than some people probably understand.” Still, regulators aren’t necessarily concerned about firms like CMT Digital. They’re concerned about mom-and-pop day traders. So what does this mean for Binance? To be clear, the firm wouldn’t be alone in extending margin to its clients. 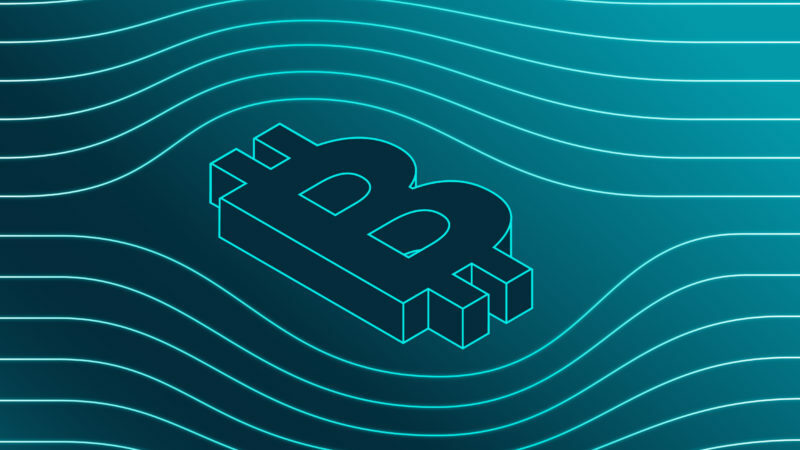 Other exchanges including Kraken, Bitfinex, and most notably futures platform BitMEX offer margin and other forms of leverage to traders as well. Still, Binance caters to a massive retail audience and offering those types of inexperienced traders such capabilities could raise the concerns of regulators. When it comes to regulating cryptocurrencies, to-date, regulators have largely been concerned with consumer protection. 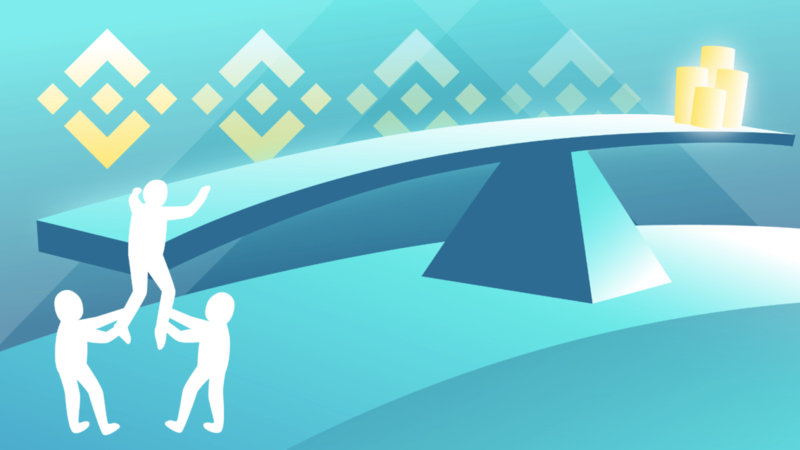 However, Binance has mastered the art of regulatory arbitrage, successfully circumventing regulatory burdens in the past as they’ve moved from jurisdiction to jurisdiction. 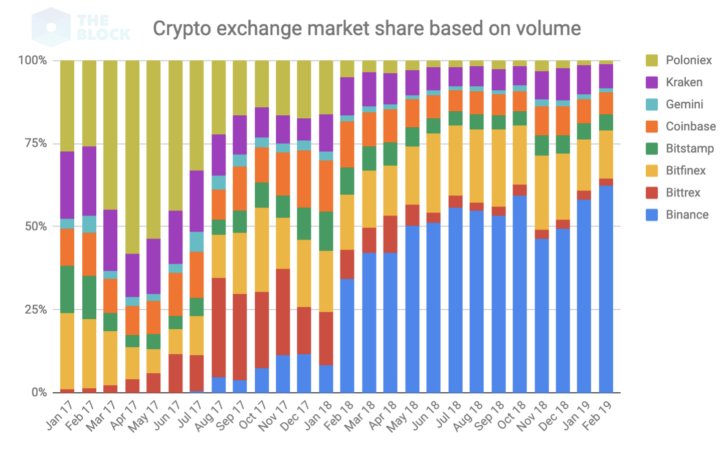 Data from The Block shows that during the current cryptocurrency bear market, the firm has gained significant market share relative to other players through aggressive expansion and novel offerings such as their newly launched issuance platform, Binance Launchpad. Indeed, by launching a full-stack product, Binance could further stand out in a crowded industry as the one-stop shop for both institutional and retail traders. Margin functionality is an essential part of this transition. “Offering more services makes the gap between Binance and the rest of the market even larger,” Dorman said. Still, there are those regulatory risks. “Any trading activity that is confusing, insufficiently explained or hyper-predatory is bound to leave unhappy customers, who may complain to regulators,” a source said.